Taylor Swift fans are not happy about Kim Kardashian’s release date for her new perfume. On Monday the mother-of-three revealed that she was releasing a perfume collaboration with Kylie Jenner on 26th April – the same day that Taylor is releasing new music. Last week the singer teased fans with the release date and has been sharing a countdown clock to 26th April since Friday. Fans of the 29-year-old have now hit out at Kim for announcing her new perfume on the same date and have speculated that the reality star is “trolling” Taylor as part of their ongoing feud. Kim Kardashian dropping a new perfume. The same day as Taylor Swift new album? are you fooking kidding me. 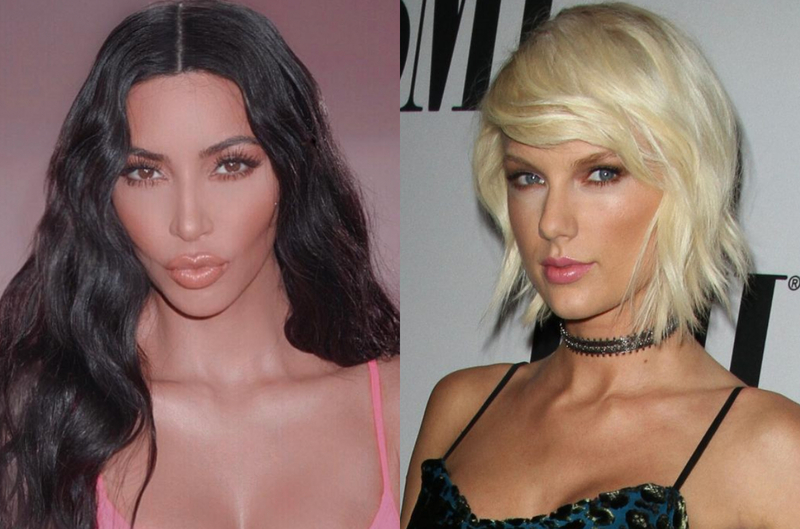 Dying over the fact that @taylorswift13 is releasing something on the 26th and so is @KimKardashian ….. come on dude. “Kim Kardashian dropping a new perfume. The same day as Taylor Swift new album? are you fooking kidding me,” one tweeted. “Sorry Kim but Taylor already OWNS this date! No one cares about you,” another fan added. The speculation comes just three months after Kim said that she was “over” their feud.